Now for something a little different. Usually, I talk about the “how-to” of donor conception but the real heavy-lifting comes after the fact. 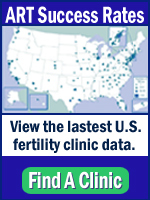 Most IVF programs who offer third-party conception options (donor sperm, donor egg or embryo) typically encourage or require their patients to consider psychological counseling so that they have an opportunity to consider all the emotional/psychological issues that arise with having and raising children that were conceived with the help of a donor’s gametes or embryos. In the US, the Donor Sibling Registry, is a good source for information not only about how to talk with you child about donor conception but also, if desired, how to connect with half-siblings with shared sperm donors. A previous blog post discussed this organization in more detail, Who’s my Daddy? The issues of sperm donation. If you are aware of other good resources, please don’t hesitate to list (with link, if possible) in the comment box below. Sometimes, it does take a village to both conceive and raise a child. Best Wishes. Update since publishing post: Here’s another source of children’s books to discuss infertility or donor conception with your young child. Carmen Martinez Jover is an artist and children’s book author who has herself struggled with infertility. More about Carmen and her work can be found here. Here in carmen’s own words are her descriptions of the children’s books that she has done. A touching children’s egg donor story about a happy couple of rabbits, Pally and Comet. You accompany them in their longing to have a child, the waiting and the moment the mother is informed she has no eggs to conceive. One day a good lady rabbit brings her a tiny itsy bitsy gift of life, which is the egg –the half– she needs to conceive. The rabbit’s tummy then begins to grow and finally her baby bunny is born and the happiness of how this family is formed is shared. Natural conception, egg donor, sperm donor, embryo donation, surrogacy and adoption, are explain compared to making a cake. For a cake you need flour, eggs, milk etc, that come from wheat, hen and cow, you mix the ingredients and bake in an oven. For a baby you need a sperm and an egg, that come from a man and woman. You mix and in a womb the baby grows for 9 months. This is a children’s story which explains in a very simple way all the different methods used to conceive children nowadays. A sweet children’s story of how two kangaroos: Jack and Sam, a gay couple, have their own baby by means of an egg donor and surrogacy. Using kangaroos in the story enables children to easily understand the methods related in their conception in a simple and loving way. In a clear, sincere and transparent way, Carmen describes autobiographically the problem of infertility, representing it through the images in her painting. After telling her story of the constant struggle between doctors and syringes, the author decides to paint chairs as a way of relief; chairs which express each one of her longings, each moment of sadness, each situation of powerlessness which this kind of situation brings. She concludes with a beautiful lesson, which demonstrates that there is always a future and a personal growth to become a better parent for the child that will come no matter under which procedure.